Rovectin is an Asian company specializing in skincare products made of pure and safe ingredients. The company’s mission is to provide quality products to make your skin healthy and beautiful. Rovectin has created own Barrier Repair Complex formula that acts like natural lipids and protects skin from inside out. The formula penetrating the skin through the damaged surface healing and fortifying it within and creating a moisture barrier on the outside. 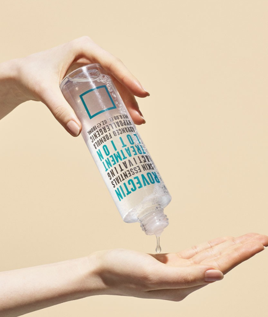 For this test we chose hydrating and moisturizing products from Rovecting such as Repair Cream, Repair Face Oil, and Activating Treatment Lotion, as well as we interviewed Jin a US brand representative about the brand, and products. – Jin are you using Rovectin products yourself? Yes, I have extremely dry and very sensitive skin type and have tried dozens if not hundreds of different skincare products throughout my life. Since I met Rovectin, Rovectin is the only brand I use. My usual facial routine is Activating Treatment Lotion à Aqua Activating Serum à Repair Cream Concentrate à then Face Oil, and I also use the Repair Cream and Multi Oil for my body. Yes, all of our products are clean, nontoxic, and cruelty-free, using the highest quality ingredients in the industry. Guaranteed to be free of carcinogen, paraben, artificial colors, artificial fragrance, mineral oil, steroid, and any other potentially harmful ingredient, our products are safe and pure for everyone, from children to adults, even with the most sensitive skin. – Are there any products you should avoid using together? No, any of our products can be used together. – How do you take care of your skin? I think good skin care begins with facial cleansing. Since I put make-up every day, it’s important to wash it off to prevent the skin breakout. And moisturizing is the next important step. Soft and hydrated skin gives a youthful and healthier look. – What would you advice to keep skin healthy and protected? Use Rovectin products. As mentioned previously, we believe that healthy skin is beautiful skin and that’s why our ingredients are designed to restore, rebuild, and maintain the health of your skin rather than to expect immediate results from artificial and potentially harmful ingredients. I am confident that our products will keep your skin healthy and protected. MyTopFace expert reported: Rovectin Barrier Repair Cream is a perfect way to keep your skin healthy and protected from dryness and irritation. The Barrier Repair Cream is a great ultra hydrating-defense formula that has powerful antioxidants such as astaxanthin to heal skin from inside-out. Aloe Vera and Avocado Oil keep skin nourished and hydrated, while Hyaluronic acid smoothes skin from within. Rovectin Barrier Repair Face Oil is rich with Neroli Oil that keeps the skin hydrated, while Prunus Domestica Seed Extract keeps the moisture and fortifies moisture barrier. Tocopherol antioxidant detoxifies the skin. This is a great product to use on the dehydrated skin as well as to apply it after removing makeup. 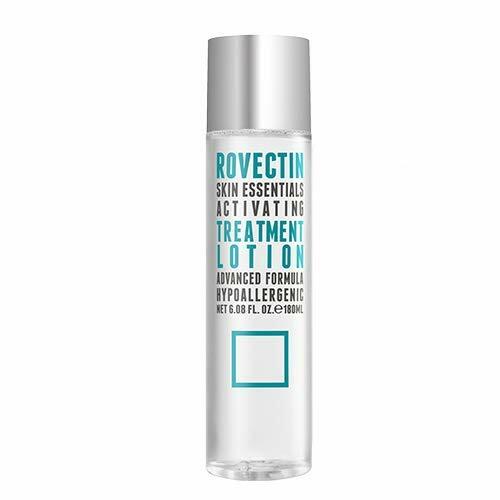 Rovectin Activating Treatment Lotion enhances the look and feels of your skin by exfoliating dead skin cells and toning through caffeine that firms the skin and reduces puffiness. Aminopeptidase and Trehalose smooth and softens skin while helping it to hold the moisture in. All Rovectin products are hypoallergenic and you can buy them as a gift from Amazon it will be delivered directly to your mom or friend door.